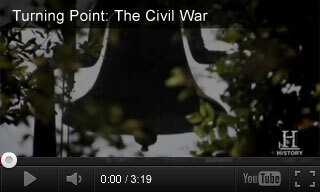 Examine the role of slavery in the Civil War and the significance of the Emancipation Proclamation though these educational videos and related activities. Students will learn about abolitionists, Abraham Lincoln, the Underground Railroad, and the 13th amendment. Each video is paired with three extension activities for your classroom. Use the videos and activities to examine the role of slavery in the Civil War and the significance of the Emancipation Proclamation. 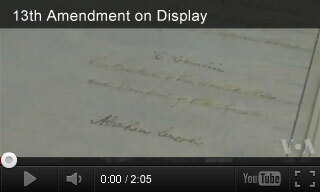 In this educational video, students learn about the 13th amendment to the United States Constitution and see a rare copy of the document on loan to the New York Historical Society. 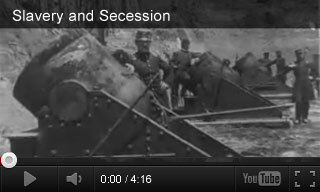 In this Channel One News segment about the Civil War, students will learn about the role slavery played in Georgia's decision to secede from the Union. In this History Channel video, students will learn about the Emancipation Proclamation and how it became a turning point in the Civil War. Please preview the Closed Captioning (CC) to ensure it is appropriate for your students. 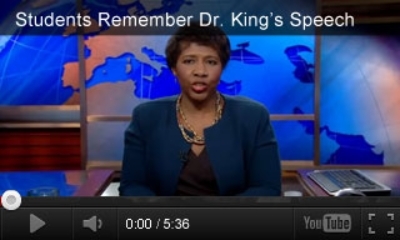 These captions are provided by the video publisher and may not represent the spoken content.